Over the last several decades the financial world has drastically changed, and with it so have investment strategies. Seriously, you may think investing simply comes down to dollars and cents, but what happens in politics, news, society, and the markets affect our approach to investing. Take, for example, the time baby boomers — those born between 1946 and 1964 — grew up in. During their youth, female boomers made waves in the workforce, college was nearly free, the average household income was on the rise , and peace, love, and harmony abounded. It’s no surprise these four groups have significantly differing views on the market. This trend switched up a bit for gen Xers — those born between 1965 and 1979 — who lived through a greed and money-fueled ‘80s (personified in the film Wall Street). But, millennials — those born between 1980 and 1995 — came into adulthood during the Great Recession, a time when jobs were scarce, money was tight, and college loans hit an all-time high. And gen Z — or those born sometime after the mid ‘90s — are still trying to figure out their financial place in the world. So really, it’s no surprise these four groups have significantly differing views on the market. For some, it’s all about retirement, others it’s about stashing cash away for an uncertain future, and for the younger generation, it’s about paying off college loans and saving for a house. If you’re in search of an investment strategy for where you are in life, we broke down investment strategies by age in this article. Here are a few investment strategies for each generation. As the elder statesmen of the investing masses, baby boomers really do have it better than most. They’ve gone through the economic ringer over the years, and still, somehow, come out on top. Baby boomers are potentially almost done paying off their homes and student loan debts, and are looking toward retirement. That means their goals should shift to learning how to budget their expenses without an income, while still planning for travel, grandchildren, or other things they’d like to splurge on in their later years. Strategy 1: Keep some Cash on Hand for Health-related Emergencies. It’s crucial to still stash away a few bucks for unexpected expenses, such as health care costs. In fact, 43% of retired baby boomers polled in a 2017 survey by Capital Group said they spent more on health care than they had anticipated. So keep squirreling away just a little bit of your remaining income into an emergency fund. Strategy 2: Stay Invested until You Actually Retire. Like all age demographics, boomers too should still live by the idea that they’re in it for the long haul. Get and stay invested in the market via a 401k, IRA, or other long term means, and simply do not touch these accounts prior to retirement age — which is 59.5 in the United States . Strategy 3: Continue to Diversify Your Investment Portfolio. You’ve still got time to diversify your funds with things like a SoFi Invest account. There, you can set targeted goals for your age, and depending on market conditions, watch your money grow. Because you have better things to worry about in your golden years. According to the Center for Generational Kinetics , baby boomers and their slightly younger counterparts, the gen Xers, are more likely to use a financial planner as their primary source of investment advice over younger generations. Strategy 1: Think about Your Financial Goals. 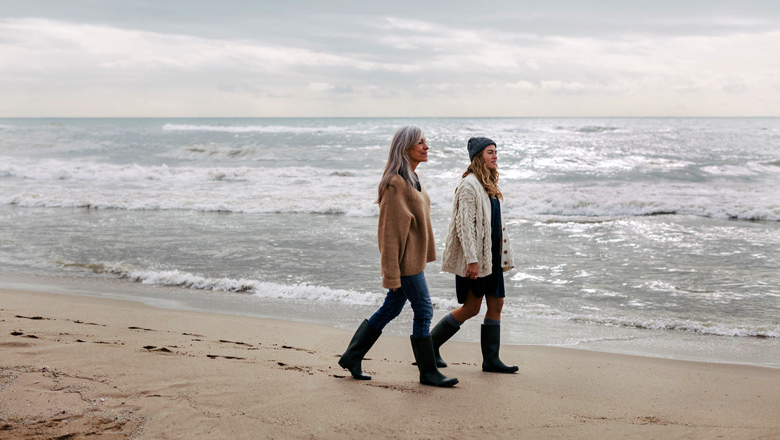 To get to retirement one day, many gen Xers are using what is known as “managed portfolios of investments,” which are personalized and tailored investments made for the specific needs of the individual account holder. And this targeted approach may be crucial for this middle-of-the-road age demographic as they are finally earning more, but need to save for things like retirement and college for their children, as well as pay off mortgages on their recently purchased homes. Strategy 2: Get Real-life Advice to Hit Those Financial Benchmarks without Spending a Ton of Money on Fees. Because this generation grew up in the fast times of the 1980s, they “want their advisors to help save them time and money, in that order,” Rob O’Dell, certified financial planner with Coyle Financial Counsel, told CNBC . Again, this is where a SoFi Invest account comes in. Using a SoFi Invest account, gen Xers can get all the real-life advice they need from an actual human at no extra charge (which amounts to a $750 savings), set short-term and long-term financial goals, and have their investment auto-adjusted so they can set it, forget it, and move on with the rest of their day. Strategy 3: Go Ahead and Be (a Little) Risky. For professionals in their 40s, their money likely has another 20-plus years in the market before retirement. They should still factor some risk into their stocks vs. bond allocations. They’ve still got time to make up any potential losses so it’s OK to put a little on the line in exchange for a bigger win down the road. Just keep it within reason. Millennials, and their even younger friends gen Zers, may be the least investment-friendly demographics on this list . Millennials have the most to gain by investing early and staying in the game. After all, they lived through the severe economic downturn of the early 21st century, and were faced with some of the highest unemployment rates in history. So really, it’s no wonder they have a severe fear of the market. But, despite all this, they may in fact be the most in need of good investment strategies. Strategy 1: Get in the Investment Game Early and Save Often. If you are employed, the easiest way to dip your toe in the market is to get involved in your company’s 401k savings program as soon as possible. This way, you’ll automatically send a percentage of your paycheck directly into your savings. And if you’re company has a 401k matching program, you’ll be earning essentially free money. Strategy 2: Diversify Your Portfolio. A great place for young people to start diversifying their money is by investing in the market via Exchange Traded Funds (ETFs), which are a type of mutual fund. These are an extremely low-cost and a lower-risk way to invest in a diversified portfolio of stocks and bonds. It’s easy to do this via a robo-investor that does all the heavy lifting for you. And that’s exactly what a SoFi Invest account does. Strategy 3: Pay off Your Debt so You Can Concentrate on the Future. According to a survey by the Investor Protection Institute , one-third of millennials say student loan debt is delaying saving for retirement. And that truly shouldn’t be the case. If you’re feeling burdened by your student loan debt, it may be time to look into student loan refinancing. This way, you could significantly lower your interest rate and in turn pay off your student debt faster. Then, you can think about the things that really matter in your life and have a more hopeful (and financially sound) view of the future. Ready to open a SoFi Invest account? Get started by telling us a little bit about your goals today. Diversification can help reduce some investment risk. It can’t guarantee profit or protect against loss in declining markets.